Senator Susan Collins talks to Candy about her recent wedding, her favorite books and love of cooking and why August is so integral. Republican Consultant Alex Castellanos, Democratic Strategist Mo Elleithee, and The Washington Post’s Karen Tumulty on how the Benghazi hearings will affect HIllary Clinton's political future. Congresswomen Tulsi Gabbard (D-HI) and Tammy Duckworth (D-IL) discuss the growing number of sexual assault cases in the military and what can be done to fix the problem. CNN's State of the Union panel weighs in on the IRS targeting Tea Party groups controversy. Amb. Thomas Pickering, Chair of the Benghazi Accountability Review Board, responds to the ongoing Benghazi hearings. Collins: IRS targeting is "absolutely chilling"
Sen. Susan Collins (R) Maine said "It is absolutely chilling that the IRS was singling out conservative groups for extra review." She also said it was "disappointing" that Pres. Obama hasn't condemned the IRS action yet. Sen. Susan Collins (R) Maine, weighs in on the ongoing Benghazi hearings. 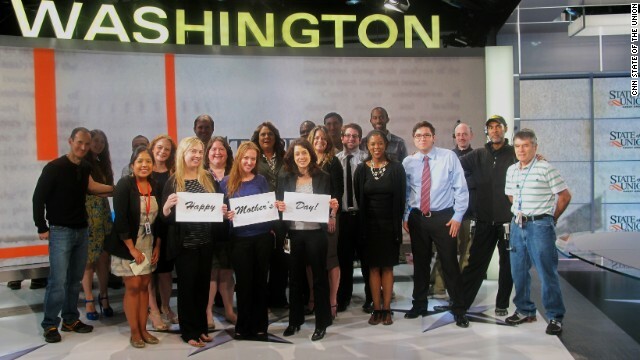 The staff and crew of CNN’s “State of the Union” and “Reliable Sources” wish their mothers - and all mothers everywhere! - a very Happy Mother's Day.